Define your man bun with a high fade. Add in a fade and your man bun is finally formal. 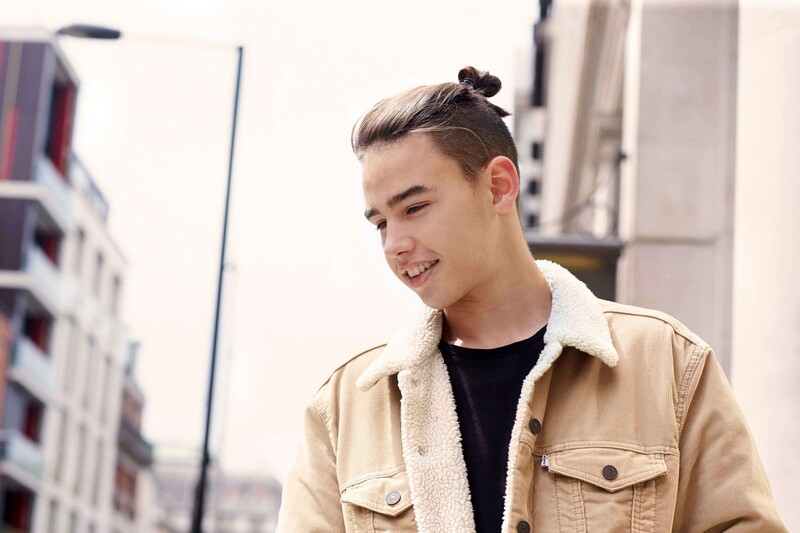 We know that the man bun hairstyle isn’t always considered to be the most formal hairstyle. 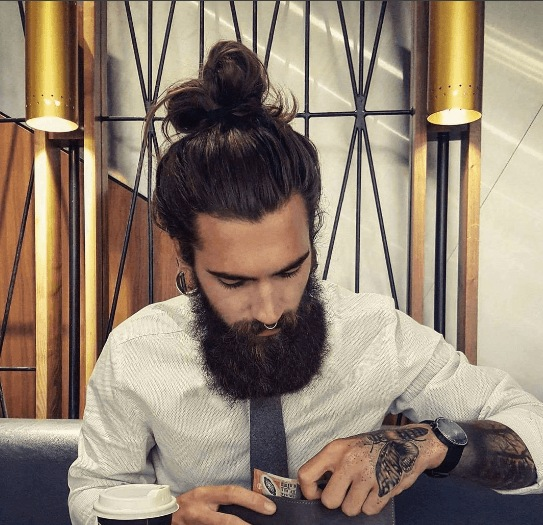 But with the right outfit and hairstyle like the man bun fade, you can tap into a more formal look. 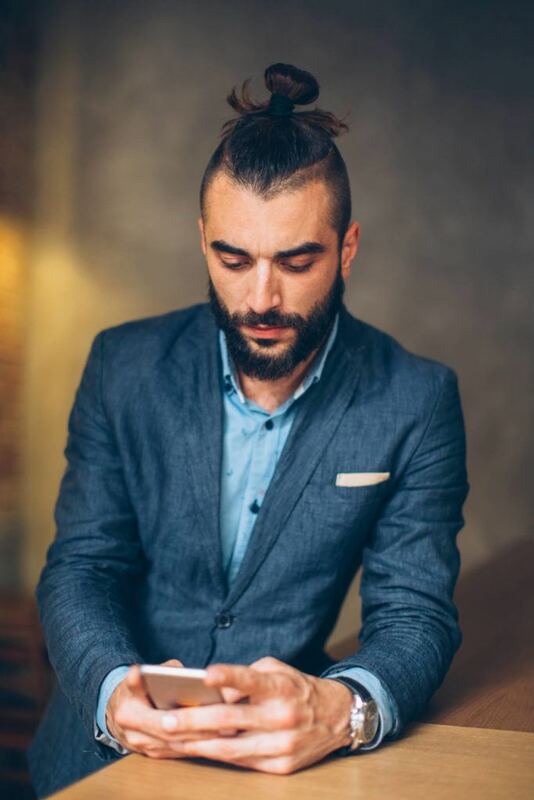 Typically, the man bun fade hairstyle is when your hair is shaved down towards the back and sides of the head, like an undercut, and then fades the edges towards the hairline. Try an extra high cut. Most man bun fade hairstyles just fade down the sides of your head. But, if you’ve got super thick hair, there’s no reason you can’t shave part of the top of your hair, too. We like how this cut is angled and defined on the sides, which adds a lot of extra interest without you needing to do any work styling. 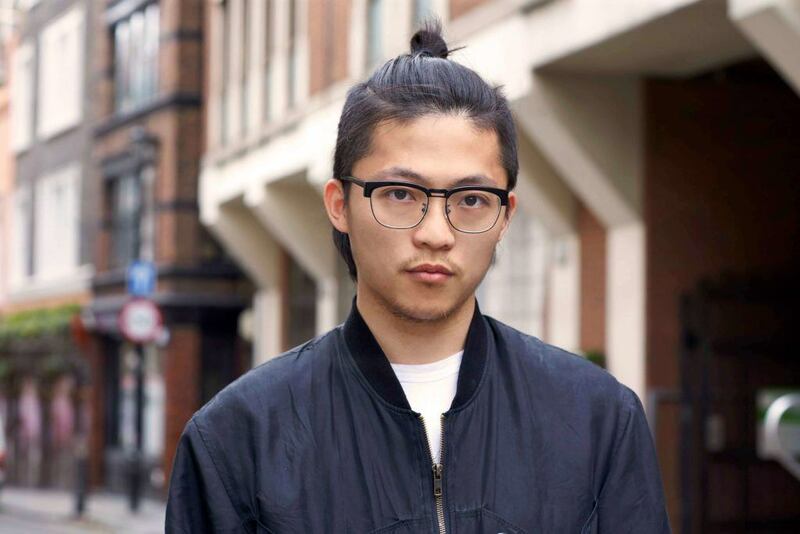 Style your man bun with this type of cut as far back on your head as you can. It will help to give that super clean cut look for your formal event. Your man bun fade doesn’t need to be perfectly slicked back to be appropriate for formal occasions. We like loose messy man buns because they are less serious. Just make sure that your hair looks moisturized, not dried out because then the loose style tends to just look sloppy. 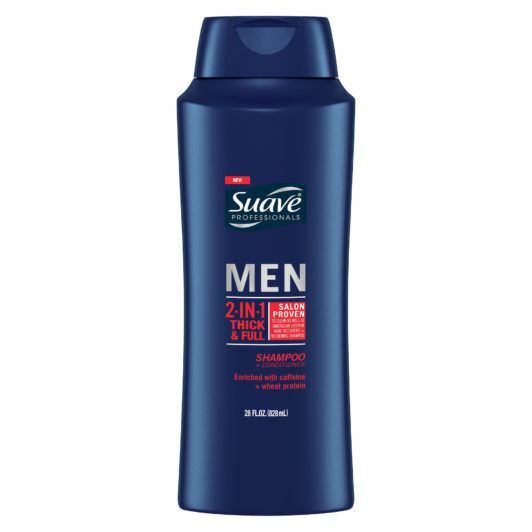 We recommend washing your hair with Suave Men Thick + Full 2-in-1 Shampoo + Conditioner to make sure your hair is hydrated, clean, and healthy for your formal event. 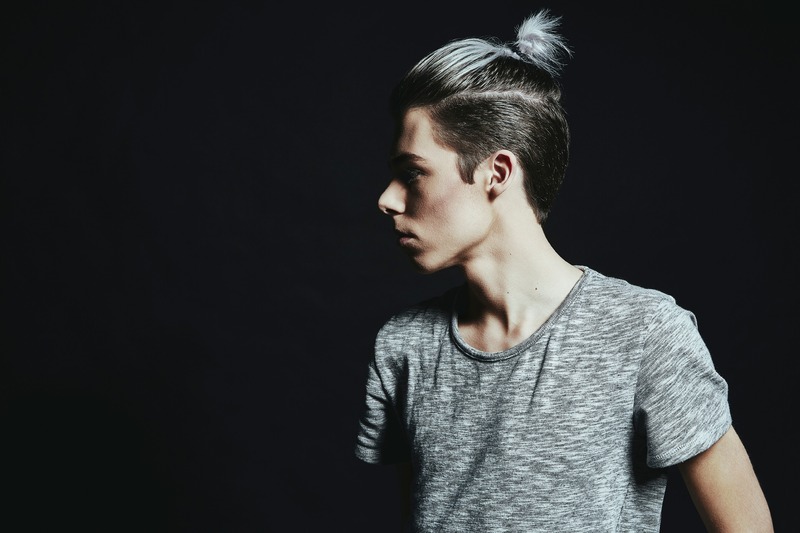 We must admit, for the most formal of occasions, a sleek man bun fade is probably your best bet. It lets you keep your relaxed style while still cleaning up your look. All you need to do to create a sleek styled man bun is to add in a little pomade. 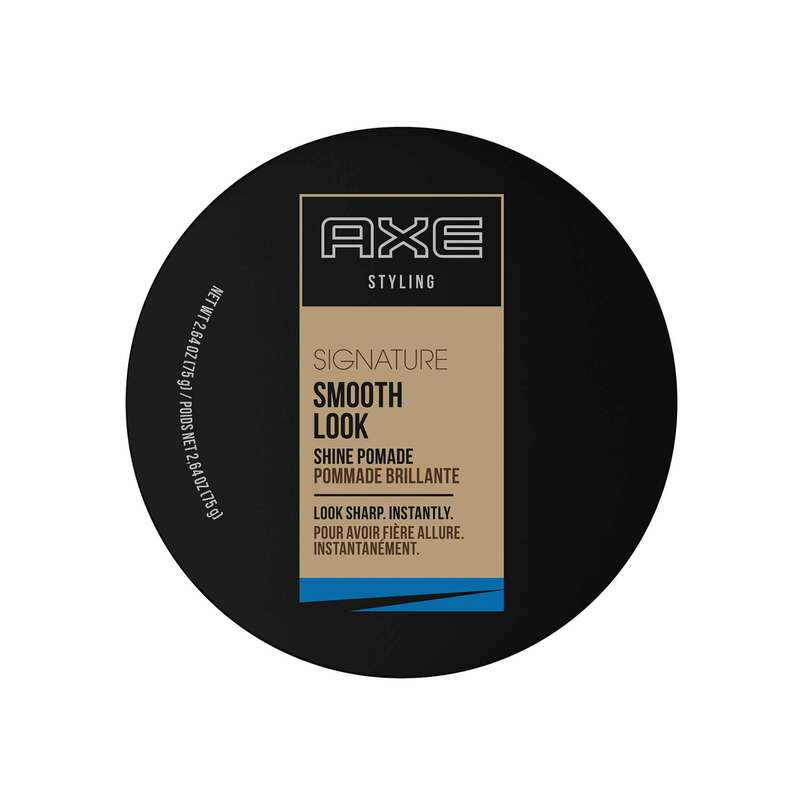 We suggest using AXE Smooth Look: Shine Pomade when styling their hair for a sleek look. Just apply the pomade to the top of your hair and slick back into a man bun. Going for a man bun fade doesn’t mean you need to shave your sides down to the scalp. A longer fade can have a more formal look, even though it isn’t as precisely cut. We like this look because it has a more well-rounded appearance, as opposed to the contrast of a tight fade and a man bun. If you’ve got a thick head of hair and like the big-bun look, you don’t need to trim down all of the sides of your hair. We suggest doing a fade just on the back of the neck, or even a temple fade. These little details will help to clean up your hairline and give you a clean cut look. Plus, you won’t have to deal with those baby hairs that tend to stick out around your hairline.